Just Eat is killing it lately. They recently came out with plans to add a face mapping feature to their app. 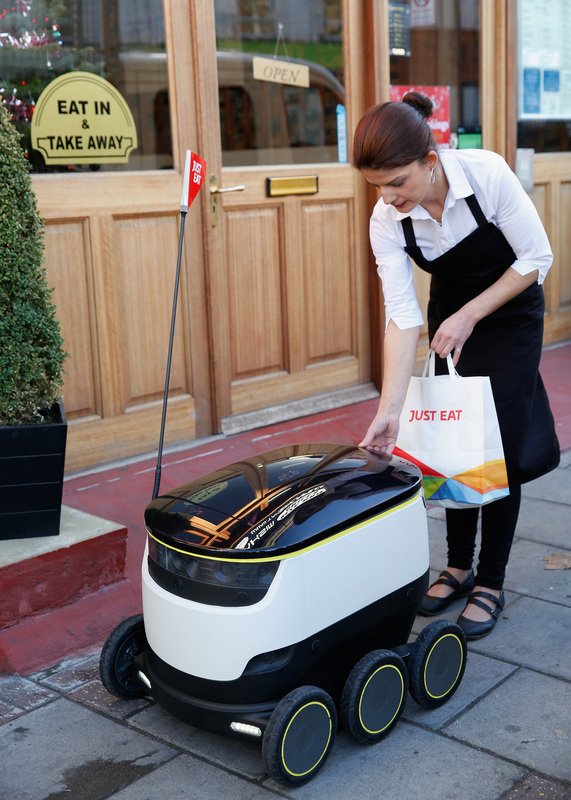 Just Eat, the worlds largest online takeaway food company, and Starship Technologies have changed the face of home delivery by making the worlds first online food delivery using a self-driving robot in Greenwich, South East London. 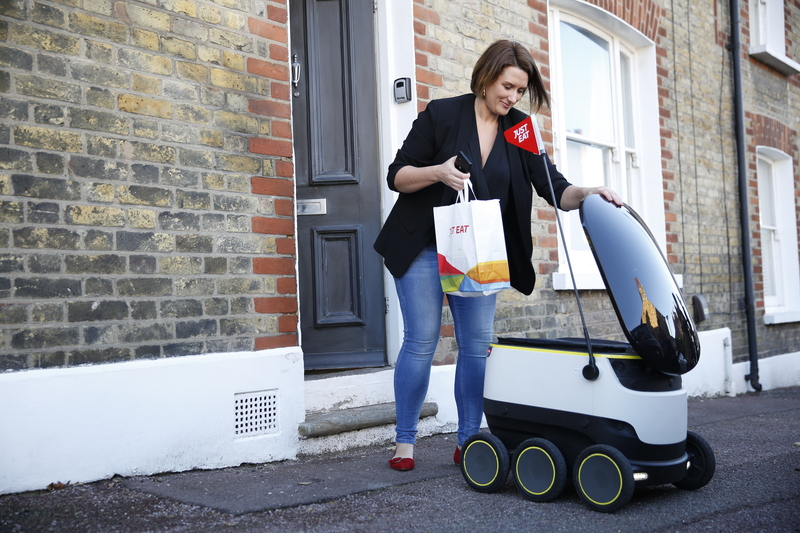 After five months of exhaustive testing in the area, the first live delivery signals the next step in this revolutionary pilot program which will see local Just Eat customers receive automated robot deliveries in Greenwich. There are plans to expand the program across London in 2017. 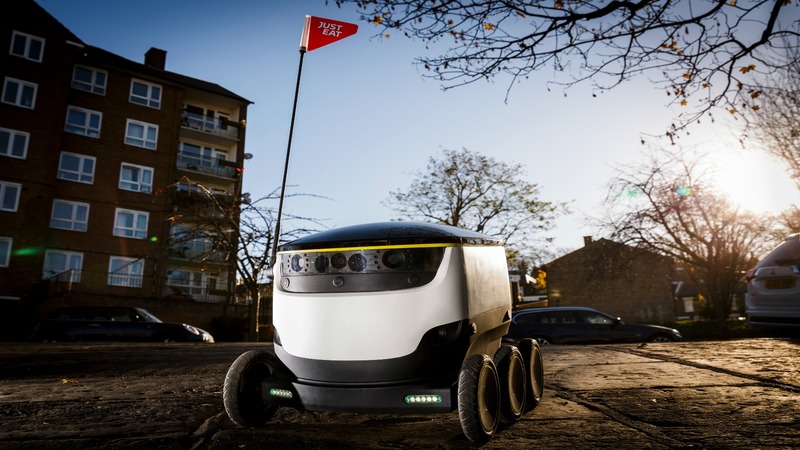 Now they’re adding robots to their delivery fleet. Yes, that’s right. Robots. Just Eat and Starship Technologies debuted plans for the six-wheel pavement droid back in July and after five months of extensive testing they’ve let the little birdie fly. 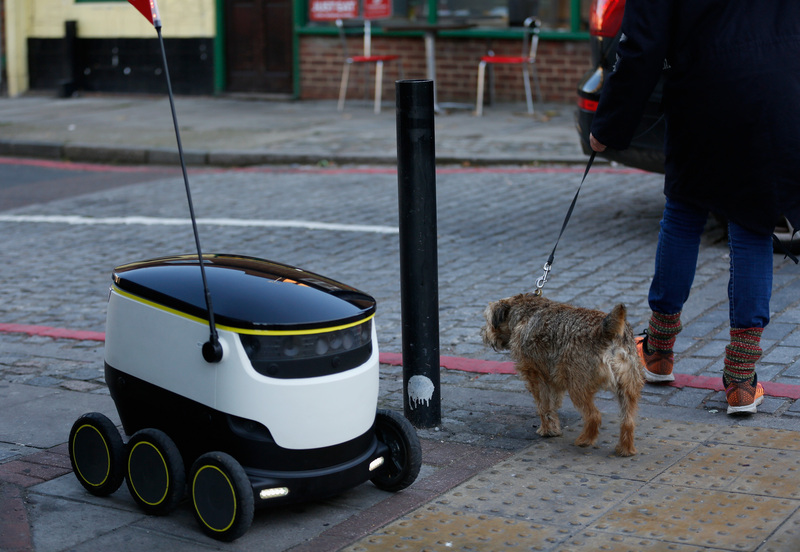 They changed the game by introducing the self-driving dude in Greenwich, South East London. The first lucky patron of this little guy was neighborhood gal Simone, who ordered from Turkish restaurant Taksim Mese using Just Eat’s app. Consider loaded officially jealous of the residents of Greenwich because until Just Eat starts expanding in 2017, the droid will be mainly focused in that area. “Our pilot program with Just Eat has now entered a new phase of development. 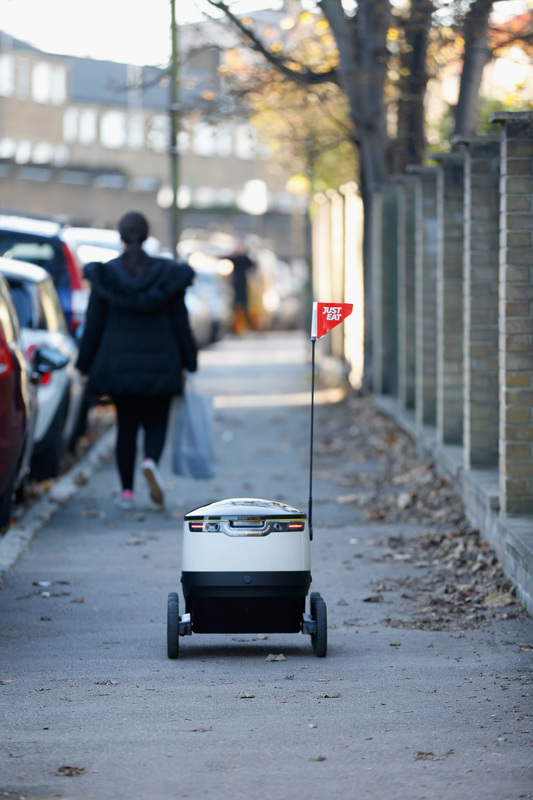 We’re happy the local residents and businesses of Greenwich can start enjoying the benefits of robotic delivery, whilst learning together with Just Eat how to further improve the service moving forward.” Said Henry Harris-Burland, Marketing and Communications Manager at Starship Technologies.